Just in case you missed hearing it live, the good folks at KBOO-FM have kindly archived Monday Sampler host Fortunato’s interview with me and my daughter Rebecca from last Monday (the segment with us begins at the 58:00 mark). There was chat about my new book, Everybody Gets it Wrong! : David Chelsea’s 24-Hour Comics Volume 1., as well as strange and exotic A Capella records from my collection, interspersed with charming live performances from the group Boy & Bean. 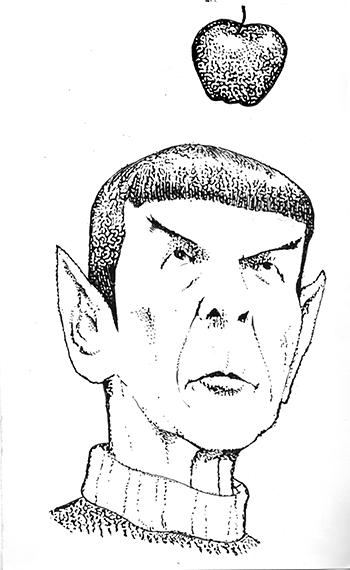 Continue reading KBOO Interview Archived! I’ll be dropping by Matt Clark’s show The Monday Sampler on KBOO-FM again this Monday, June 17th between 2 and 4pm PDT. I’ll be discussing my new book Everybody Gets It Wrong! And Other Stories: David Chelsea’s 24-Hour Comics #1, published by the fine folks at Dark Horse. and I’ll spin some records from my collection, many on the original vinyl. This time I’ll concentrate on weird and strange acapella recordings from the 1930s up to whenever, including songs by Tete Noires, The Modern Barbershop Quartet, The Songbirds Of The South, and Zap Mama, and as many more as there is time for. Portland listeners can tune in on 90.7 FM, and the rest of you can listen online at the KBOO website. The main purpose of my first trip to New York in nine years was drawing my 15th 24 Hour Comic at an event at the Theater for The New City, but I also found time to show my work to some possible illustration clients, meet with a lot of old friends, and eat some fine meals. Among the people I saw in New York were a couple of folks from Los Angeles; my sister Anny happened to be in Philadelphia that week for an AFTRA event and took the bus up to meet me, and I unexpectedly encountered film producer J. Todd Harris on 34th street, near the Empire State Building. 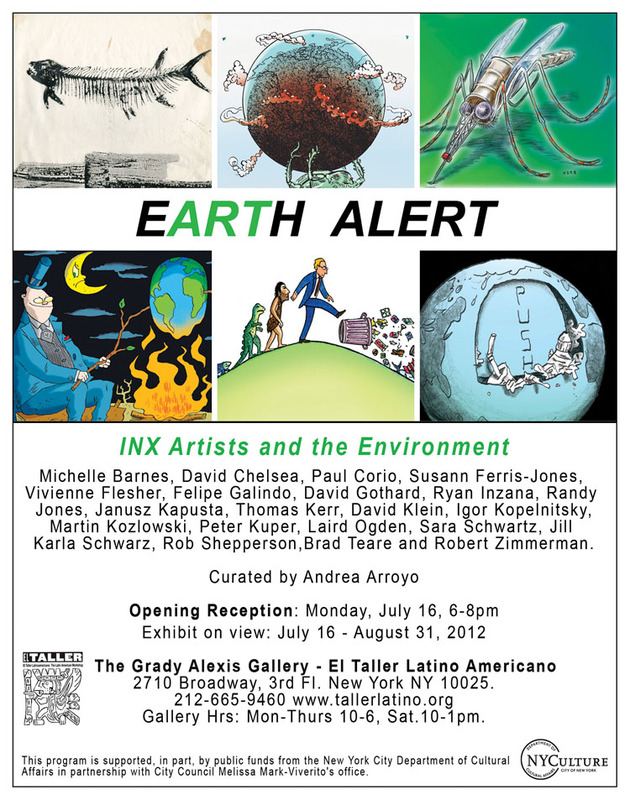 “EARTH ALERT – INX Artists and the Environment” Curated by Andrea Arroyo. Meet the Artists reception: Monday, July 16th, 6-8pm . Exhibit on view through August 31, 2012. The Grady Alexis Gallery, El Taller Latino Americano, 2710 Broadway, 3rd fl., New York, NY 10025. Gallery Hrs: Mon-Thurs 10am-6pm, Sat 10am-1pm. Free and open to the public. Yesterday, June 4, was supposed to be the last day to take The Survey, my online poll for determining the most commercially appealing style and genre possible for my next comics project based on your responses (as well as another comic guaranteed to be unpopular because it will have all the features you say you least like), but I have decided to extend the deadline another two months, partly because many of you may only be learning about it now, partly because I am deep in the throes of another comics project that I can’t talk about (yet), and partly because August 4 is my sister Anny’s birthday. Continue reading The Survey Extended!